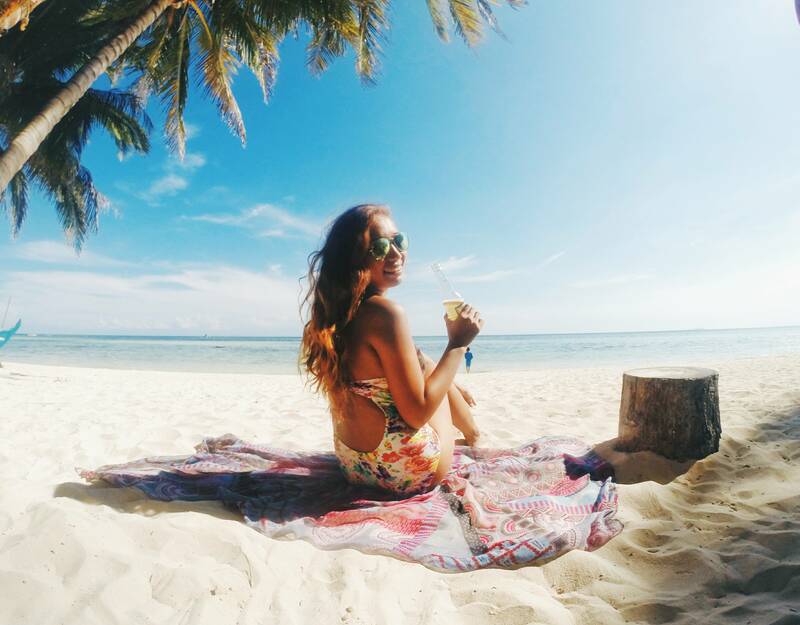 Oasis is located in Alona Beach, Tawala, Panglao, one of the busiest beaches in the island where a lot of local and foreign tourists flock in to have some vitamin sea. And apparently, they have the best sunset session ever in the whole stretch of Alona. Earlier this June, I had an operation in which they attached a plate to my fractured ankle. I stayed in the hospital for weeks, months inside the house (having crutches as my best friend), and another weeks in the rehab center until I have finally learned how to walk again. The first few days I was inside the house was bearable. Until the days turns into weeks, and weeks into months. Until everything became suffocating. My self-esteem lowered, and I was totally worried if I will still be able to surf or climb mountains again. Fortunately, my Physical Therapist said I still can do those stuff. I'd be heartbroken for the rest of my life if not. For a person like me who loves to travel, it was so hard. Thankfully, I have God, my family, cousins, and friends who supported me all throughout my PWD days. And constantly reminding myself that I got this for an adventure fix and that I should wear this battle scar proudly actually helped. Nonetheless, my injured foot started to get itchy (literally because of the cast lol) to get outside. I wanted to visit the outdoors so bad knowing that I can walk normally again. Fast forward to me having fully recovered, a good news from Oasis has reached my email, giving us a free accommodation. What an awesome way to have some sun again after months of staying indoors! I was so delighted to hear the news because 1.) The last time I've been to Panglao was 3 to 4 years ago 2.) I want to rediscover the island and 3.) I missed the beach so much. And so we finally arrived just in time for their Halloween party. Hey, a Halloween on the beach? Why not? It's so cool for our first time though! Even though it's just a free stay, their staff was so polite and accommodating it felt like we were on a special treatment. When we arrived at the reception, we were welcomed with a better news, they have upgraded our room! They are spoiling us already. They gave us some refreshments while the front desk officer processed our check-in which happened in less than 10 minutes. They are really commendable. It was so nice for the resort manager to greet us personally shortly after. We started to explore the resort after and we're stoked to see the beach front. We were ushered to our room which was so cozy and too spacious for us. I loved that the pool is just in front of our room. Night swimming, anyone? One of the things I always check first after arriving in a place is the bathroom. And I'm happy to find out that ours is so clean and bright and has a hot shower. We had more than what we needed. Having the privilege to work comfortably in bed, or at the poolside, or even at the beach front. Yes, I have finally decided to quit the corporate world and start chasing my dreams. It's my first time to travel while working so it's kind of a celebration for me. Yay! The following day, we had a great breakfast buffet at the balcony of the main restaurant. I loved their banana pancake which I paired with fresh fruits and ugh, lots of bacon! You can also choose your preferred coffee or juice. There's a section in the far right corner where you can let the staff cook your favorite type of egg. And you can toast your bread, too. Oasis Beach and Dive Resort also offers a wide array of menu. They have Mediterranean and Filipino cuisines, and they serve fresh seafood also! They have their main restaurant nestled at the heart of the resort, near the pool and there's also one by the beach, with a bar. So here are my favorite nooks inside the resort. What I like about Oasis is that it maintains a very natural vibe. There are a lot of plants inside, it's so lush, the air is cool and everything was so relaxing. Oasis Beach and Dive Resort also offers transfer services, laundry service (at additional cost), ironing (at additional cost) and wireless internet. They can also assist you in re-booking or confirming your plane tickets, photocopying, faxing and money changing. They also offer Yoga classes: Ashtanga and Hatha, for only 600.00Php per hour/person which includes a professional yoga teacher, a yoga mat and fresh water. You can also rent a motorbike from them if you want to drive around the island. For only 600.00Php a day, you can use a brand new one which is automatic. Sea tours are also being offered. You can go dolphin watching, island hopping and snorkeling for only 2,500.00 per boat. I highly recommend Oasis Beach and Dive Resort for your next beach trip in Panglao. If you want to dig your toes into the fine white sands and swim into the clear waters of Panglao without spending too much, this resort is the best place to be. Spending a vacation with your families, friends and loved ones would be perfect here. 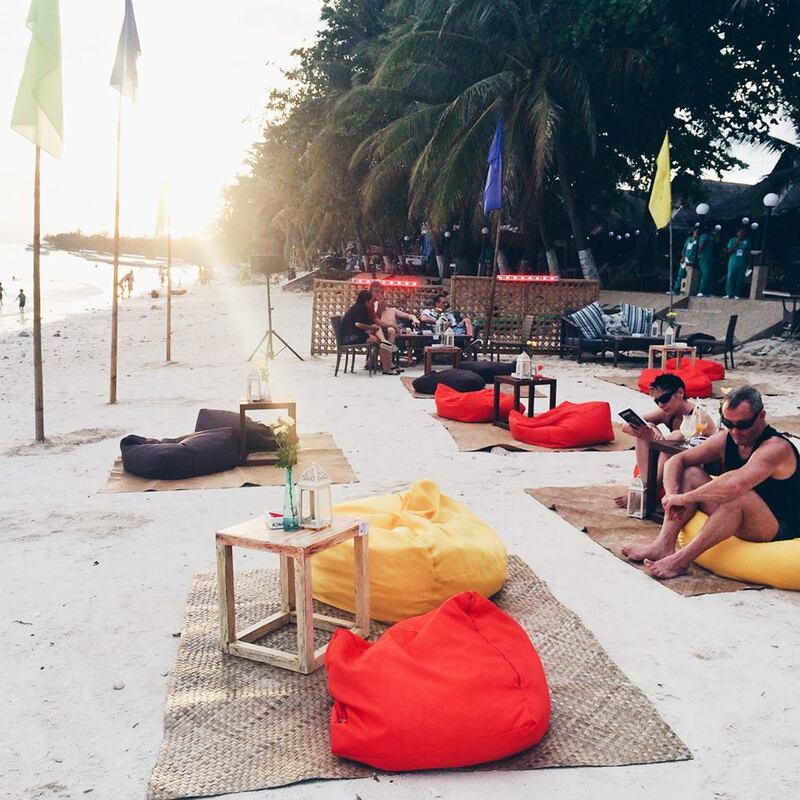 When the sun sets, the whole stretch of Alona transforms into a mini Boracay, and as what we have experienced, Oasis has the most pretty set up on the beach front when the happy hour begins. For rates and reservations, please click here. Thank you so much Oasis Beach and Dive Resort for our awesome stay! We really had a great time and we will surely come back! Our Raja Ampat Dive Resort is located on the edge of the world famous Dampier straits on the South of Waigeo Island – the largest of the Islands in the park. This is a vast area of the equatorial Pacific Ocean known as the Coral Triangle which holds the title for being the heart of the world’s greatest coral reef biodiversity – including 75 percent of all known coral species on Earth.